Sometimes facing a blank page on your laptop can be the most depressing sight on planet earth. Nobody said playwriting was going to be easy. But the email rejections, the harsh feedback from your writing group, the statistics on the tiny number of new plays that get produced every year (and the even smaller number by female playwrights not named Lauren Gunderson) can just shut you down. Or, as I put it, take the heart out of the writing. How do you get your mojo back? 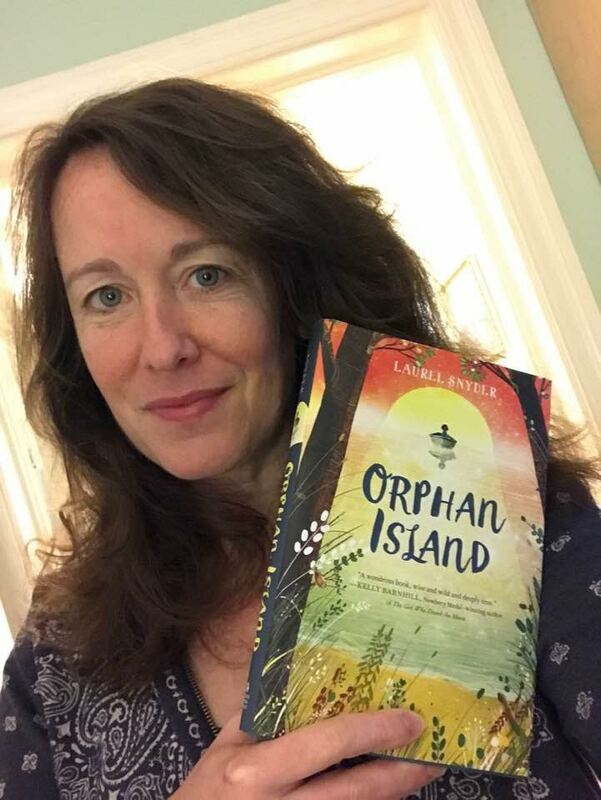 I had the pleasure of interviewing writer Laurel Snyder whose middle grade novel “Orphan Island” is a very odd book – orphan kids on a desert island who come as toddlers and depart as teenagers to parts unknown. Needless to say, it’s not like anything else Laurel has previously written. She says the book started as her own prescription for writers block. She was stuck in the “business” of writing and forgot about the joy. So she bought herself some toys – markers and paint and notebooks and her favorite mechanical pencil. She vowed to write the entire project in longhand and take the time to illustrate the characters. She drew islands and maps. She drew animals that didn’t exist that didn’t make it into the book. She had fun – the same fun she felt when she started writing when she was eight years old. She promised herself that she wouldn’t show the project to anyone until it was done and if it didn’t get published, that would be okay, too. She would write a book just for herself. Laurel got back in touch with the reason she started writing in the first place. She was writing out – putting on paper something inside of her that needed to get out in the world. In the process, she rediscovered the joy. And of course, the book she created was so unique, it made the longlist for the National Book Award. We’re not guaranteed such a reward of public recognition, but we can at least make the journey more enjoyable. Slow down. Buy a fabulous red gel pen with sparkles for the editing process. Find some fun stickers and reward yourself when you put down 500 words. Take yourself out for an outrageously fattening Toasted White Chocolate Mocha at Starbucks when you’ve written every day for a week. Give yourself permission to watch hours of Hallmark Christmas movies. Find a way to make the writing fun again. And share YOUR secrets with us. You can hear the whole interview with Laurel Snyder here. You can even hear kids dissect the book on this episode.